SFW123GDC Digital Fire/Water Safe is rated 4.5 out of 5 by 52. The SentrySafe Digital Water and Fireproof Safe SFW123GDC has a backlit keypad and interior lighting to make it easy to access your valuables in the dark. With UL Classified fire protection and ETL Verified for your important documents, digital media, and other valuables, the SFW123GDC is ideal for your home or business security needs. Rated 1 out of 5 by Charlinefoskey from Battery tray will not work First I must say the first week the safe was amazing! however we started to notice the batteries were not lasting very long. upon taking the battery tray out we noticed the tray wasn't locking into place as it should. Now Im being told by support i havet to order a new tray. also the key was not in the safe upon opening the box. So not only do i have to buy a new tray i also have to pay for new replacement keys. I really think after paying so much for this safe for our school it should have a lifetime replacement warranty. I'm very disappointed to say the least but have no choice but to keep the safe because silly me cant find the receipt. Rated 5 out of 5 by Joe Retired from Exactly as advertised: Excellant size & security I This safe is easy to program, easy to change, easy to understand even if you are not tech smart. I really do not know about the negitive reviews that some people put on products and what does a product quality have to do with the way a shipper has handled the product? Write that review to the shipper. This safe is excellent all the way around. I bought it from Amazon and it arrived in prestige shape and packaged great. Phooey on all the stars below 5. 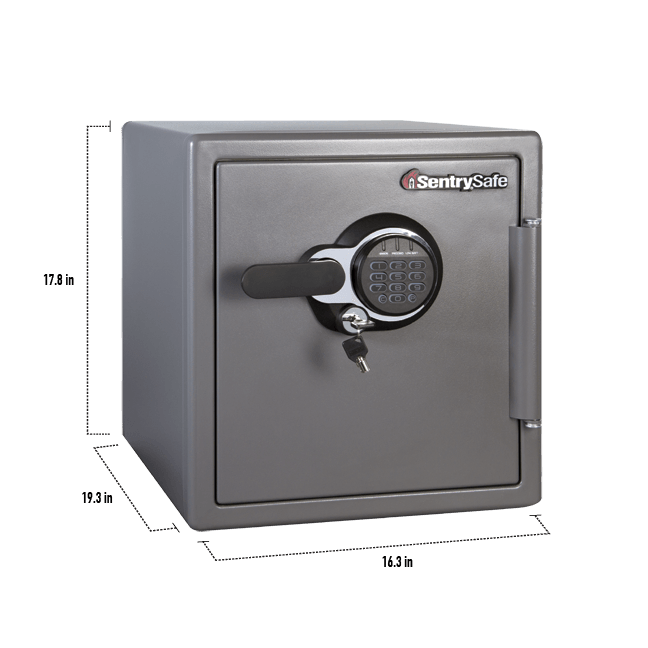 I bought a Sentry Safe in 2003, the same size but only waterproof and it cost $100 more than this one plus I had to buy the locking drawer separately. That one is still working fine. For all the reviewers writing about the received condition, send that to the shipper and keep it off the product. Sentry keep up the fine work and give the employee who worked on this safe a free steak dinner. Rated 1 out of 5 by Mourad Ezzine from Strong, easy to use but came with major dents out of the box it came with 2 big dents (see photo). This confirms some issues signaled by previous buyers. Rated 5 out of 5 by Big Don from I like the size and ease of use. Looks great. I received this safe in good condition. It didn't take me long to check it out and learn about adding new codes after installing a set of batteries. I like the size of the safe and have room for the important documents and etc. that I have. It operates very easily and was easily installed with floor bolts that came with the safe. I had the necessary hammer drill to put in the anchors. I would recommend this safe to anyone needing to secure their items. Rated 4 out of 5 by Bagocentric from Good Safe for the money. 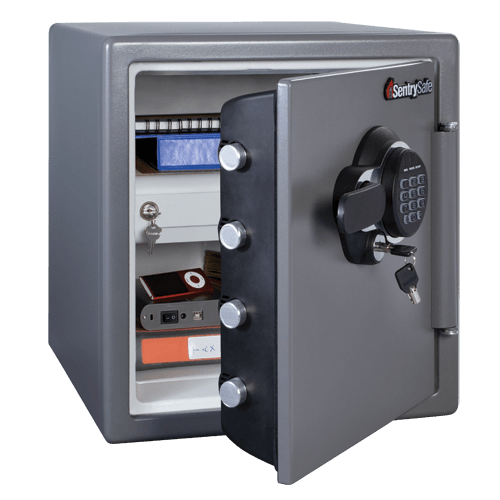 I have been using Sentry safes for more than 15 years. I own 3 of them at my business and at home. 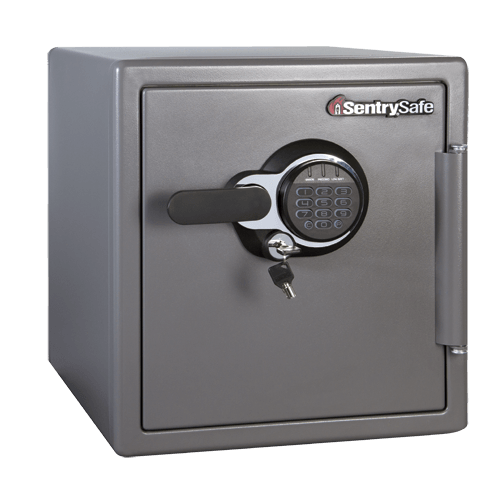 I keep going to Sentry when I am shopping for a safe because this brand has served my needs and given me peace of mind. 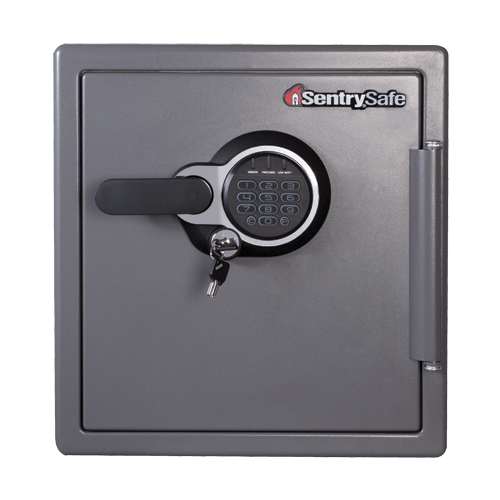 I cannot say tried and tested because I have not had an event neither do I want an event to prove the worthiness of the Sentry safe. Like a good sentry, I like the sense of security the product gives to me.